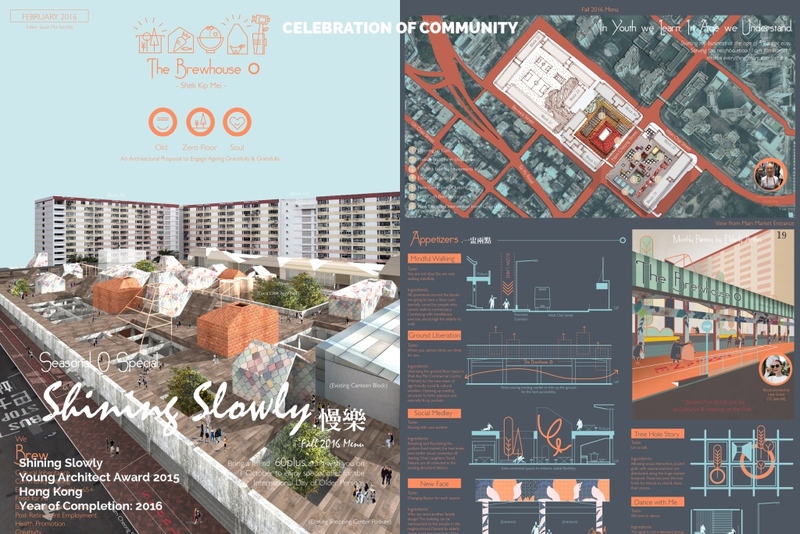 Sarah Mui is an architect committed to connecting people through placemaking and design. 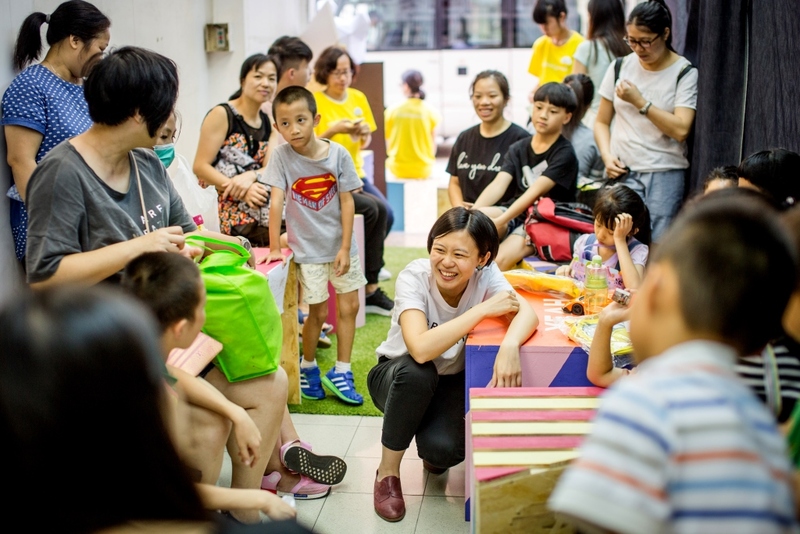 In Project House, neighbourhood residents were invited to participate in events organized by community partners and share their knowledge and experience with one another in a repurposed storefront. 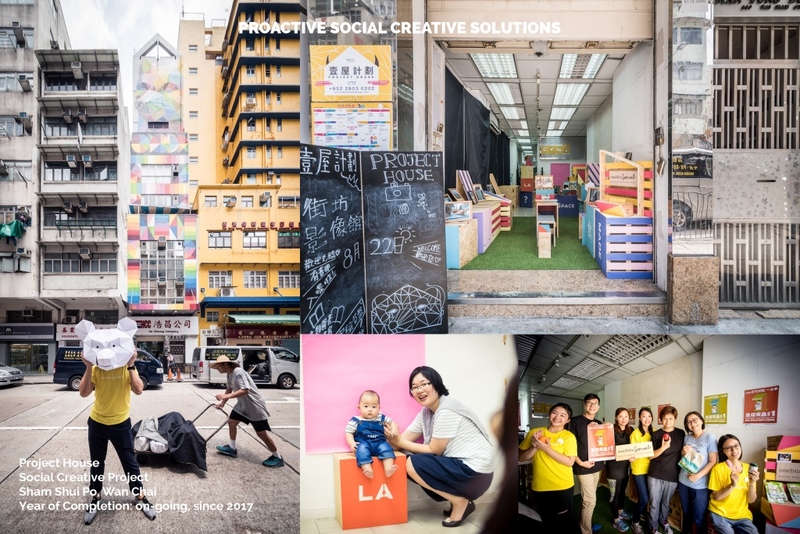 As a pop-up community centre themed around everyday needs, it is a space for creating bonds as well as exchanging ideas, things, and services. 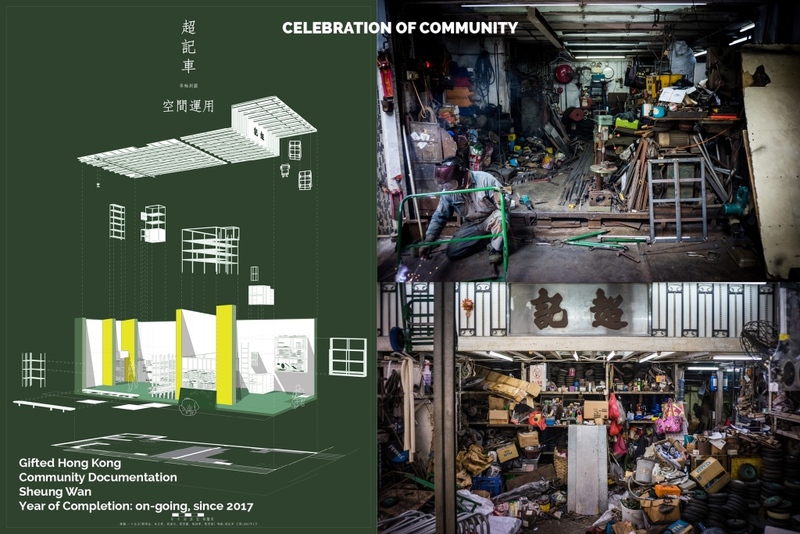 Two pilots were run in Sham Shui Po and Wanchai, two historical urban neighbourhoods in which community space is few and far between. 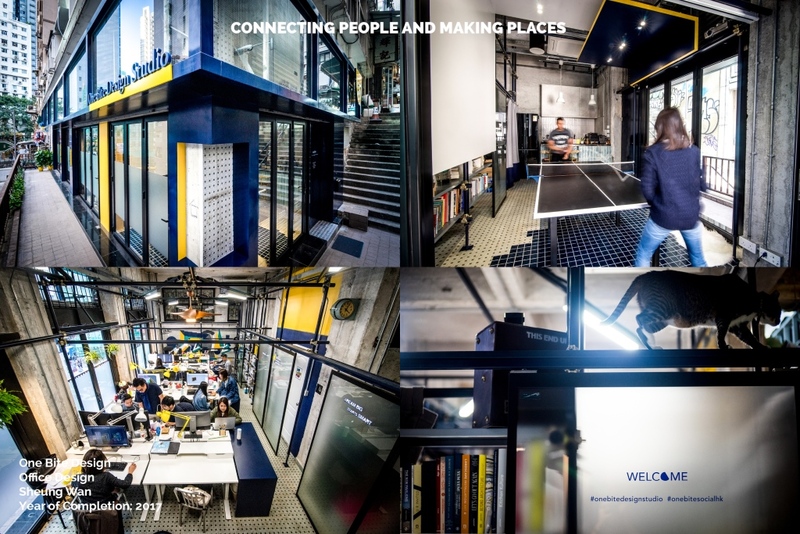 As the Founder and Design Director of One Bite Design Studio Limited, Sarah not only connects neighbours with other neighbours, but also people with their surroundings and inner selves through design. 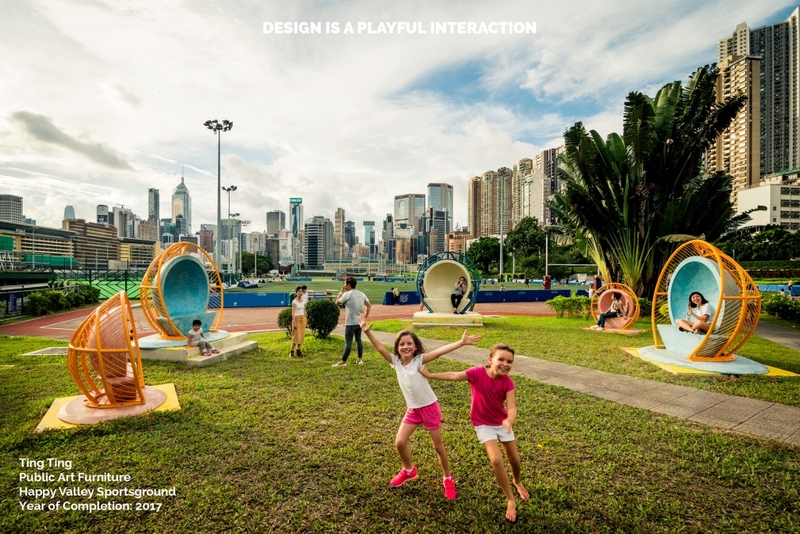 Called Ting Ting, which is the transliteration of “Listen Pavilion” in Cantonese, a series of outdoor public furniture are installed at the Happy Valley Recreation Ground to allow visitors to listen to the sounds from their surroundings, which are amplified by the shell-like installation. 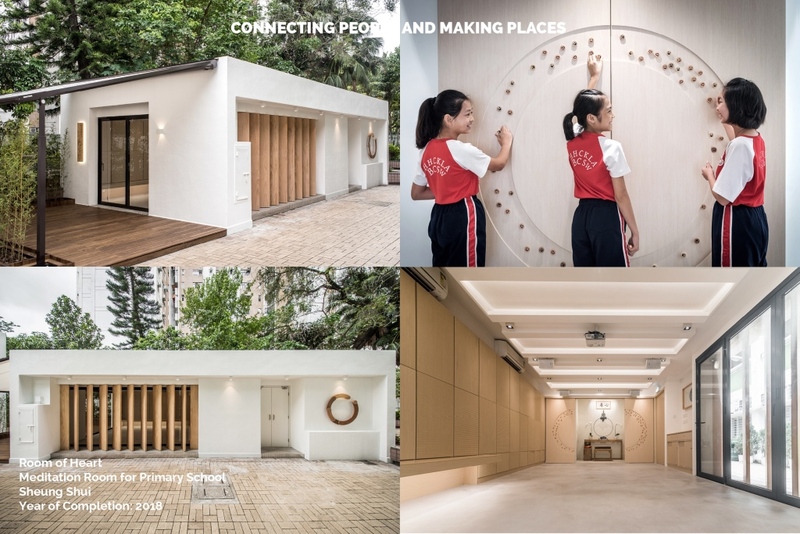 In a primary school, Sarah and her team turned former staff living quarters into a modern meditation room to promote mindfulness and mental health. 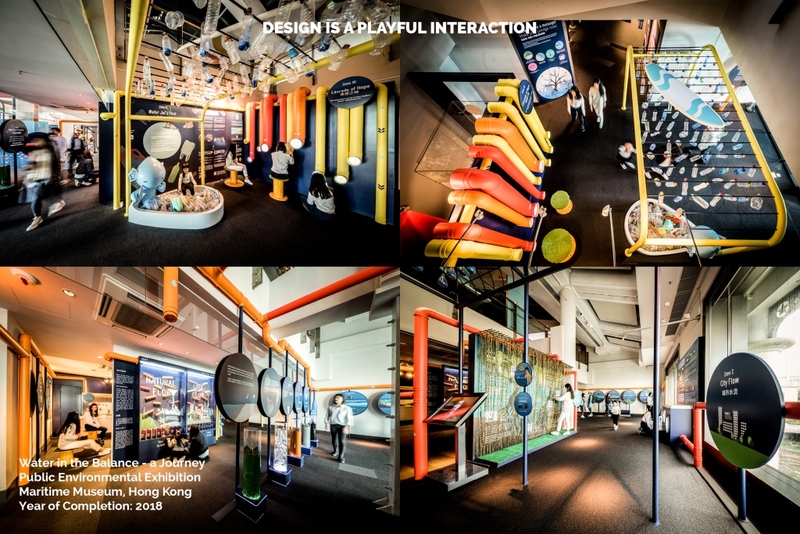 In another instance, Sarah directed a spatial design project that aimed to foster a connection to sustainability. 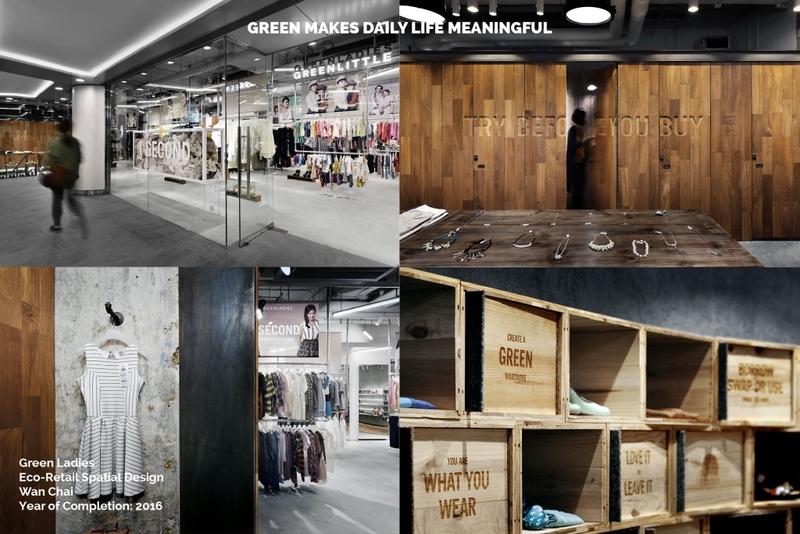 For Green Ladies and Green Little, Hong Kong’s few first second-hand fashion consignment store that is also a social enterprise, the interior is designed to allow people to reflect on the relationship between consumption and sustainability while enjoying sensible shopping. 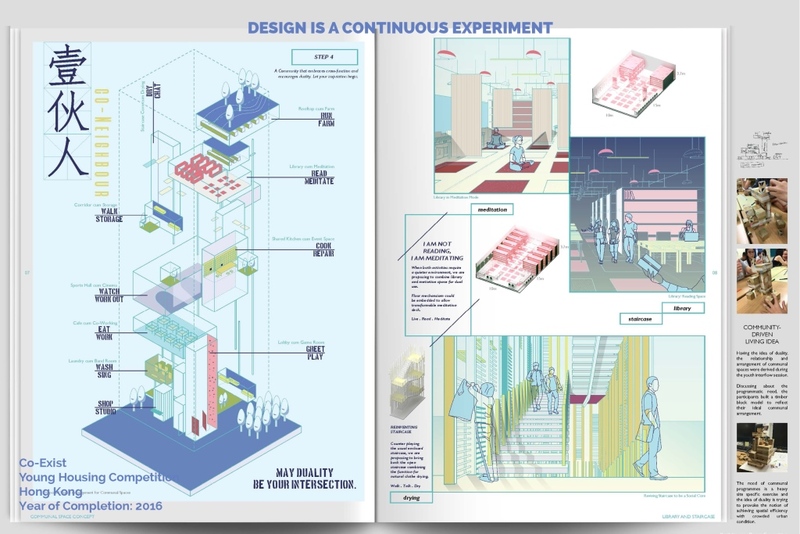 Sarah wants to go to London and do research at the Royal College of Art’s Helen Hamlyn Centre for Design, and work with the best in the social design and innovation field. 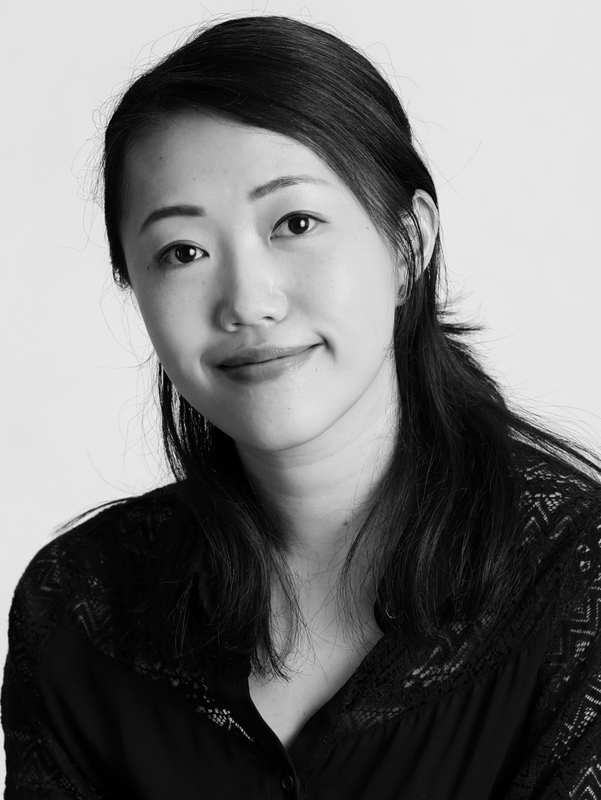 She graduated from the Chinese University of Hong Kong’s School of Architecture in 2006 and earned her graduate diploma in architecture from the University College London in 2009.